Don’t know what photos are real and which are not, but they sure look neat. These birds eye views are seriously incredible. It reminds us of how beautiful the Earth truly is. via The San Francisco Globe. There really are no new ideas. Views swing back and forth, like a pendulum. We’ve bread a whole new generation of children who won’t take risks. Essentially, we have a whole wave of the population that could be government workers. There will be no inventors, or people willing to take risks. 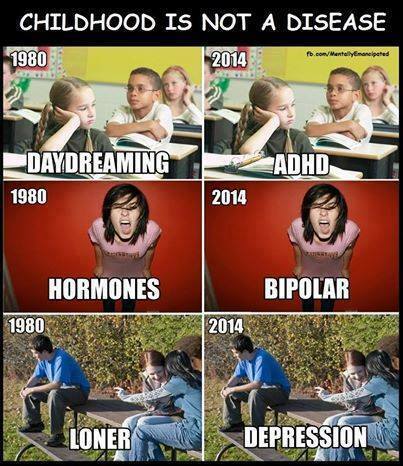 Society will stagnate. Perhaps that’s what’s happening now in the West. Until we let our children fall out of a tree, they will never learn their limits. That’s sad. via When one New Zealand school tossed its playground rules and let students risk injury, the results were surprising | National Post. Long before I was awake to the 9/11 myth did I think global warming and Al Gore were part of I’ve of the biggest lies and frauds of our time. They are excellent examples of the power of propaganda. The similarities are too obvious to see that science belief is one if the biggest controlled opposition operations ever. language that Tyson and his interviewer use is religious language. “deniers,” are the modern-day heretics. When does the stake burning begin? The human resource industry is one level above human trafficking. We allow one and don’t allow another. Super warehouses reside in the Inland Empire, a massive warehouse area 1 hour east of LA in CA, It is the largest such area in the world. UPS, FEDEX, Walmart, Home Depot, Amazon all serve their (growing online) customers from here. The workers are all paid minimum wage, non-union, and essentially work at Chinese-ified slave wages. Ironically, most are Mexican nationals (legal or illegal, I don’t know or don’t care either). Interesting how (CIA sponsored?) Amazon is building a super warehouse in NJ to launch Amazon Fresh, as they move into same-day groceries. This video really illustrates corporatism at its best. I don’t have a solution to it, but it’s a sad commentary on what happens when we go global and harmonize to the lowest common denominator. It’s like starting a country all over again, and the only direction for a once mighty country like the USA is down. Permanently Temporary: The Truth About Temp Labor (FullLength) – YouTube. T. Colin Campbell’s The China Study created a movement in the way people consider their diets. While the Internet features many great meeting places for the plant-based community, there has yet to be a one stop shop. The China Study Community website launched with the hopes of filling this niche and becoming the leading source of news for the plant-based community. Each day, you’ll find links to news stories, event information, recipes, reviews, and more from the top influencers in the plant-based movement, including specific information on The China Study and Colin Campbell-endorsed books published by BenBella Books. via About: About | The China Study Community. Forks Over Knives – Plant based diets the solution? via Forks Over Knives – Official Trailer – YouTube. Posted on March 19, 2014 Categories HealthTags cancer fraudLeave a comment on Forks Over Knives – Plant based diets the solution? …in the USA from cancer. If we believe these numbers, which I think may even be low, Why aren’t people up in arms and demanding a solution? Probably because the cancer industry is like Richard Gage’s 9/11 traveling road show – controlled opposition. We think that because we fly pink ribbons and hand over billions they are taking care of this problem. We need to stop being terrorised by fake news and start taking care of a real threat: our food health. via Cut Poison Burn – YouTube. Nothing better than seeing a hot bod girl help save the world. Her popularity appears exponential right now. Not sure I want to give up meat but her message and improving editing skills are compelling.